Dump the bluetooth earpods. Use the phone speaker or airtube earphones. Turn the wifi off at night and put the phone outside your bedroom. And don’t let your kids download videos holding a phone, especially in the car. Even if you only reduce your exposure to EMF radiation by a little, over a lifetime it adds up to better health. 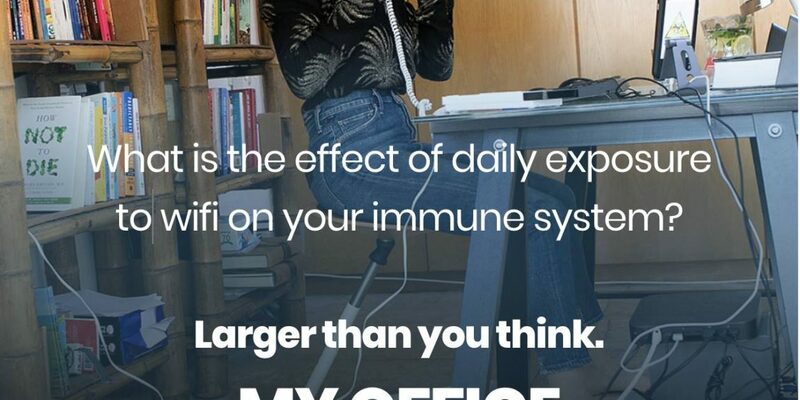 My office is now 100% wired (no wireless tech) because I know from painful personal experience how harmful 24/7 exposure to everyday devices that emit electromagnetic radiation can be. 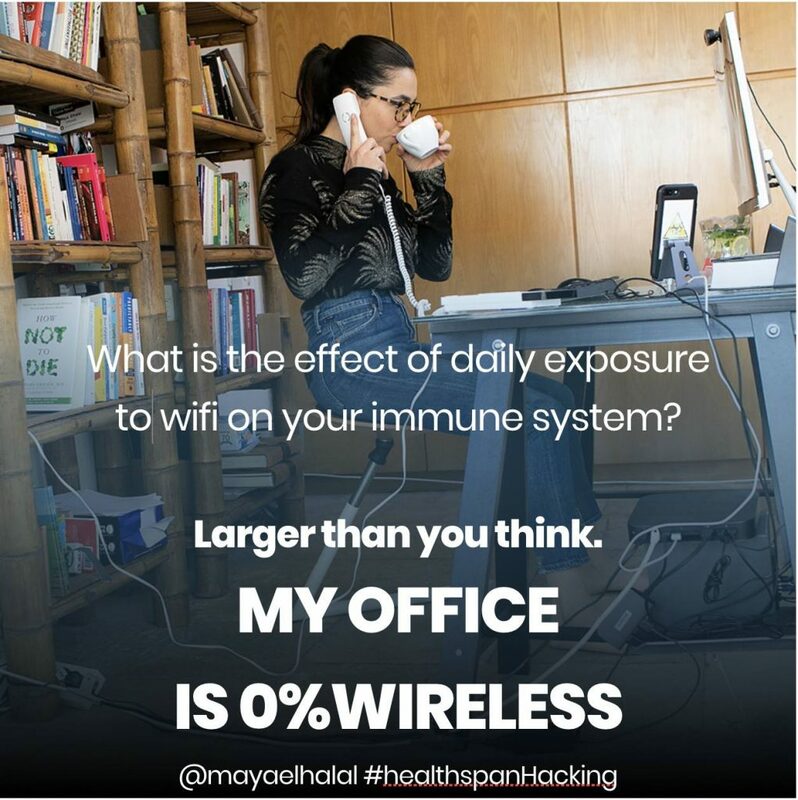 EMF radiation includes cellular antennas, mobile phone, wifi, bluetooth, the electric grid and devices, and it can damage the nerves and trigger the immune system. Because we are chronically exposed, this becomes a chronic stressor to the body. There’s little we can control in the public domain but at home and in our office, we can create an all wired (wired mouse, keyboard, speakers, camera, internet connection, landline wired (not dect!) phone) and give the body a few hours of relief from the constant attack or EMFR. Yes, there’s a tradeoff on esthetics and there will be wires running around but it is so worth it – an all-wired setup helped me heal and profoundly changed how I feel after a day’s work at my computer workstation. This healthspan hacking tip was written in blood and I hope it is helpful to you. Previous Previous post: What is the #1 underlying cause of premature death in the US? Next Next post: Every bite we take is either extending life or cutting it short.